Asus Zenfone 3 Zoom ZE553KL comes with Android OS , v6.0.1 ( Marshmallow ) , It offers Qualcomm MSM8953 Snapdragon 625 , It gives you a fast CPU , It includes Octa-core 2.0 GHz Cortex-A53 , It has Adreno 506 and it presents a wonderful performance without any lags . Asus Zenfone 3 Zoom ZE553KL gives you a superb expandable memory via card slot microSD , up to 256 GB (uses SIM 2 slot) , It includes a superb internal memory of 32/64/128 GB and it includes great 4 GB RAM that is suitable in multitasking performance . Asus Zenfone 3 Zoom ZE553KL has got body dimensions of 154.3 x 77 x 8 mm ( 6.07 x 3.03 x 0.31 in ) , It presents weight of 170 g ( 6.00 oz ) , It contains Dual SIM ( Nano-SIM , dual stand-by ) , It is announced in January , 2017 and it will come soon in February , 2017 . Asus Zenfone 3 Zoom ZE553KL contains AMOLED capacitive touchscreen , 16M colors , It gives you a great size of 5.5 inches ( ~70.2% screen-to-body ratio ) which is suitable in playing games , browsing the Internet & watching videos . Asus Zenfone 3 Zoom ZE553KL presents Full HD resolution of 1080 x 1920 pixels ( ~401 ppi pixel density ) , It includes multitouch features , up to 10 fingers , It supports Asus ZenUI 3.0 and it contains Corning Gorilla Glass 5 for the screen protection . Asus Zenfone 3 Zoom ZE553KL has got a wonderful primary camera of 12 MP , ( 25 mm , f/1.7 , OIS ( 4-axis ) & 59mm , f/2.8 ) , dual-LED ( dual tone ) flash , laser/phase detection autofocus , 2.3x optical zoom factor . Asus Zenfone 3 Zoom ZE553KL comes with amazing features such as 1/2.55″ sensor size @ 25mm , 1.4 µm pixel size , touch focus , geo-tagging , simultaneous 4K video and 9MP image recording , face/smile detection , Auto HDR & panorama . Asus Zenfone 3 Zoom ZE553KL presents 4K UHD video recording , It supports video of [email protected] , [email protected] and it contains fantastic secondary camera of 13 MP , f/2.0 , 1/3″ sensor size , 1.12 µm pixel size , 1080p . 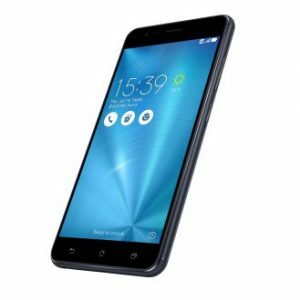 Asus Zenfone 3 Zoom ZE553KL supports 2G bands GSM – SIM 1 & SIM 2 , It includes 3G bands HSDPA – Global , HSDPA – Taiwan , HSDPA – India , HSDPA – USA/Brazil , It brings 4G bands LTE – Global , LTE – Taiwan , LTE – India , LTE – USA/Brazil , Its speed is HSPA 42.2/5.76 Mbps , LTE Cat4 150/50 Mbps – Global , LTE-A ( 2CA ) Cat6 300/50 Mbps – Taiwan . Asus Zenfone 3 Zoom ZE553KL contains Sound Alert types as Vibration , MP3 & WAV ringtones , It offers a loudspeaker , It contains 3.5 mm jack , It has got 24-bit/192kHz audio , It offers DTS sound enhancement , It supports GPRS, It brings EDGE and it comes with FM radio . Asus Zenfone 3 Zoom ZE553KL gives you Comms WLAN such as Wi-Fi 802.11 a/b/g/n/ac , dual-band , Wi-Fi Direct , hotspot , It has Bluetooth v4.2 , A2DP , EDR , LE , It gives you USB v2.0 , Type-C 1.0 reversible connector & USB On-The-Go and it It contains GPS , with A-GPS , GLONASS , BDS . Asus Zenfone 3 Zoom ZE553KL includes rich number of wonderful sensors such as Accelerometer , Ambient light sensor , Gyro , Fingerprint sensor ( rear-mounted ) , Compass & Proximity , It includes messaging like Push Mail , SMS , MMS , Email , IM and it comes with Browser HTML5 . Asus Zenfone 3 Zoom ZE553KL presents fast battery charging , It offers Google Drive (100 GB cloud storage) , It gives you MP3/WAV/eAAC+ player , It brings MP4/H.264 player , It offers a photo/video editor , It comes with a document viewer and it presents Reverse charging . Asus Zenfone 3 Zoom ZE553KL contains a superb non-removable Li-Ion 5000 mAh battery , It lasts for a long time & it doesn’t drain earlier and it has misc colours such as navy black , glacier silver & rose gold . Asus Zenfone 3 Zoom ZE553KL contains a flash that enables you to take wonderful photos in low light conditions and it supports many superb connectives such as Wi-Fi , Bluetooth , GPS , 3G, 4G & USB . Asus Zenfone 3 Zoom ZE553KL offers a very powerful battery capacity of 5000 mAh that lasts throughout the day even for the most avid gamers , It has got a high resolution & high pixel density ( 401 ppi ) which makes your screen very clear & bright . Asus Zenfone 3 Zoom ZE553KL contains lots RAM & a large memory , It has larger focal aperture of f/2.0 , 1080p for the selfie camera , It includes 4G in India ( Band 40 ) , It presents a high build quality and it comes with a superb & impressive design . Asus Zenfone 3 Zoom ZE553KL does not have Java, It contains a non-removable battery , It does not have water & dust resistant , It does not include Infrared , It does not have NFC feature to transfer data connections and it does not present Barometer or Temperature sensor .